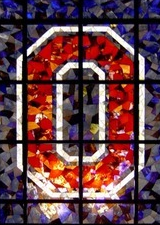 Welcome to the most comprehensive web site about the Songs of The Ohio State University. By far, this is the only web site of its kind on the Internet. This site has been recognized by The Ohio State University School of Music/Dance Library as a reference source for learning more about the history of songs which were written specifically about The Ohio State University. You may view Ohio State Songs in Use Today, and learn a bit of the history of the current Ohio State songs. Also, you may learn more about Ohio State's historical songs by visiting Ohio State Songs Lost to History. This site combines resources from song books, the Internet, The Lantern, The Ohio State University Marching Band, The Ohio State University Archives, football programs, various reference materials and musical scores to provide the visitor with the best experience possible. All the historical songs were scored and the MIDI files generated using the Noteedit and MuseScore utilities, which are available for the UNIX and linux operating system. Subsequenty, the MIDI fiels were converted to MP3 to eliminate the need for a MIDI browser plugin. Finally, this site now contains over 100 songs, so if you would like to add, enhance or update information, feel free to e-mail your contributions to nmetro@sgsosu.net. This web site is dedicated to the students, faculty, staff and Alumni of The Ohio State University, from its humble beginnings, in 1870, to the present day. Furthermore, this web site is dedicated to the composers of the songs contained herein, for their legacy is now a living history of The Ohio State University. Also, this web site is dedicated to the members, past and present, of The Ohio State University Men's Glee Club and The Ohio State University Marching Band, who arranged, composed and performed these songs throughout the years. In addition, this site is dedicated to the Lohrer family of Columbus and Springfield, Ohio; as we have adopted each other, in 1974, as dear friends when we attended Ohio State. Finally, this web site is dedicated to my parents, who taught me the value and importance of education. If you desire a copy of any of the material contained on this web site, for your own web site, you are welcome to it. However, if you copy web pages, please also copy over the related media files, as well. Please make sure that you change the links in your HTML to link to your web site, not mine. Finally, please credit this web site as your source.